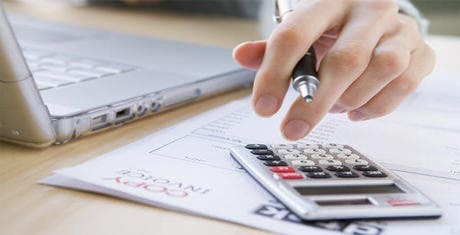 Do you face issues while framing your tax invoices or getting the right information in the right place all the time? 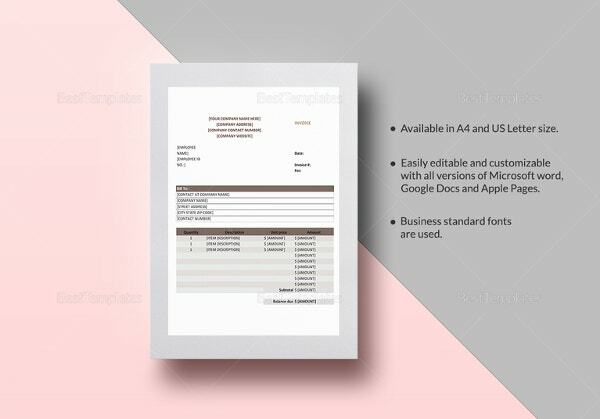 Well, the free tax invoice templates are a perfect cure for the problem and you can make really innovative and highly useful tax invoice samples directly from your computer and use them by taking a print out. 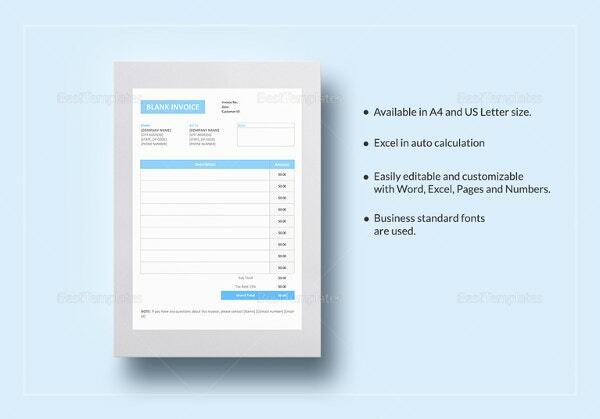 Using already curated and specifically custom made tax invoice templates Excel, you can put all the tax-related details in the right places and be rest assured that the user will understand it completely. 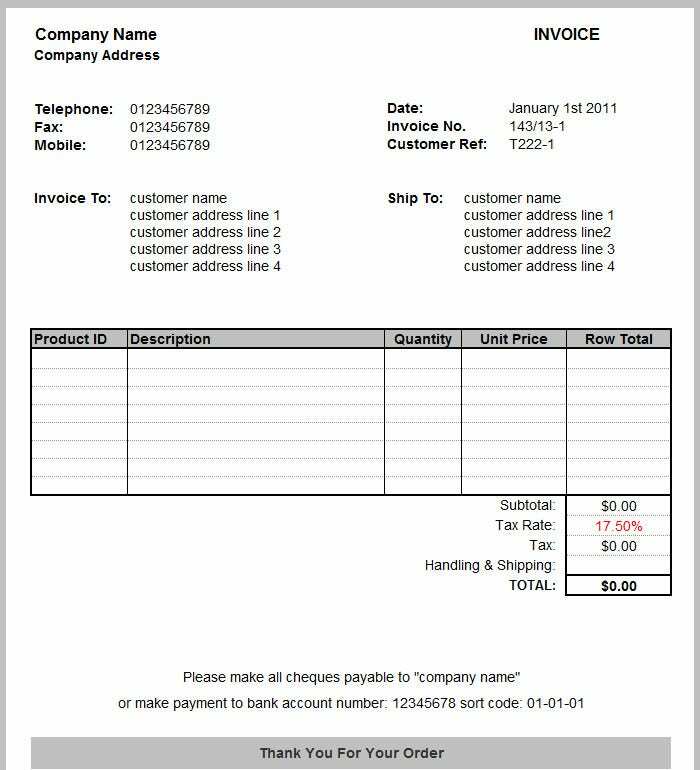 A great way to organize all the data By Downloading these Sample tax invoice templates you can make your own customized tax invoices by putting in the right columns, adjusting sizes, putting in logos and auto-calculating the figures. 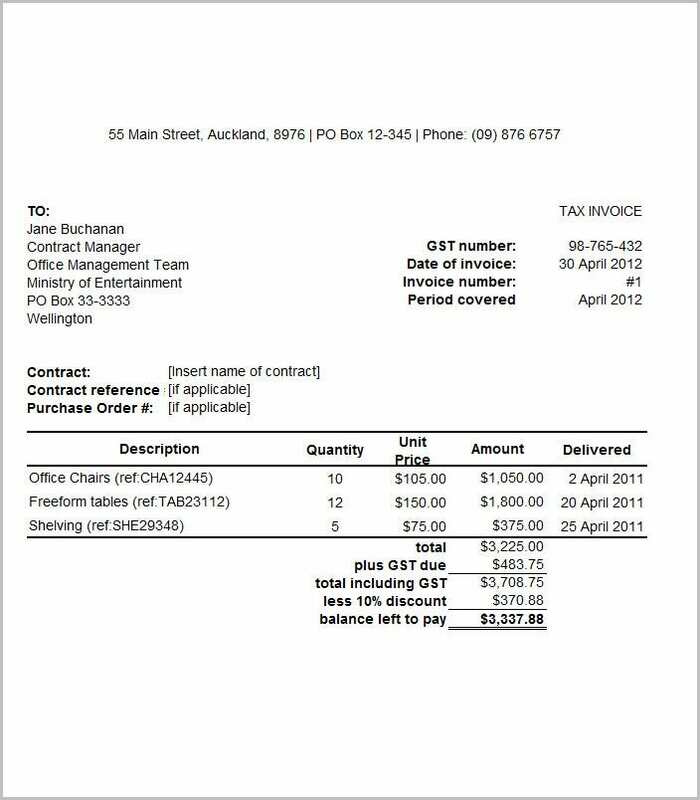 You can also use the tax invoice templates PDF for dynamic calculations while filling in the details and the user can directly view the final invoice amount. 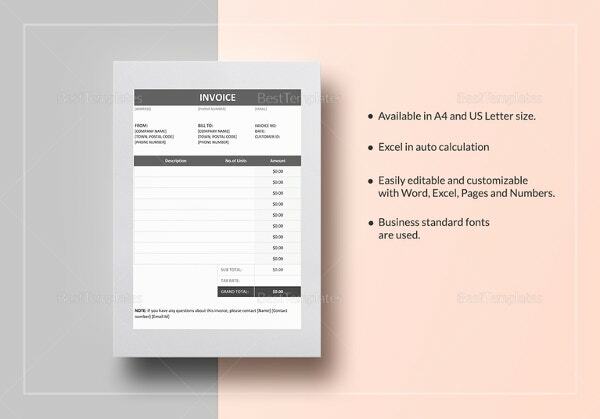 You can also edit the Tax Invoice templates word according to your wish and then take a print out of the same with all the data which saves both time and energy. 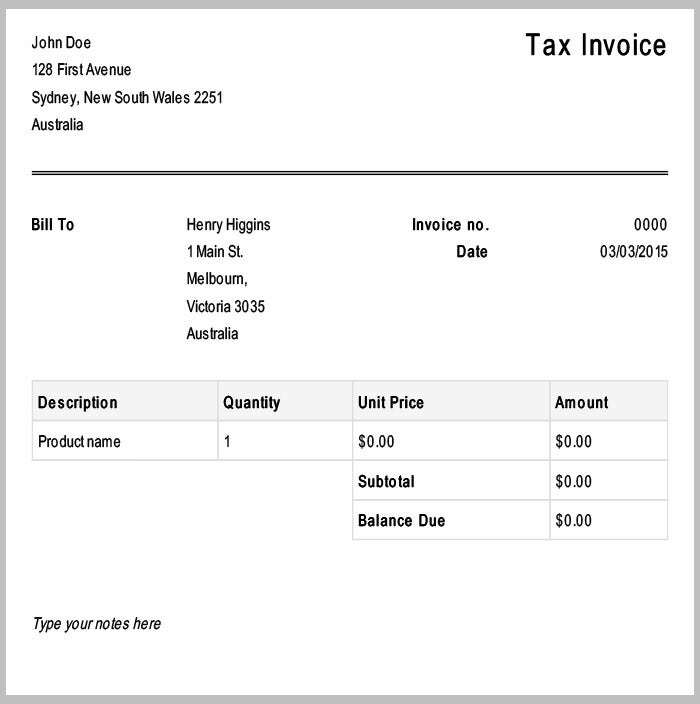 So you can now generate tax invoices within minutes by just filling in the details and then taking the print out. 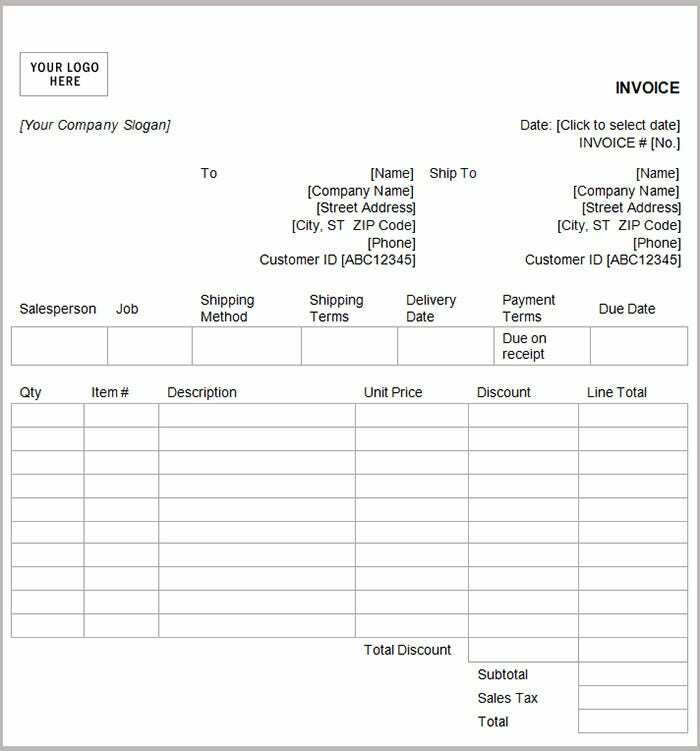 If you want to put your tax related details in a single as well as well organized manner, then tax invoice template is very useful for you. 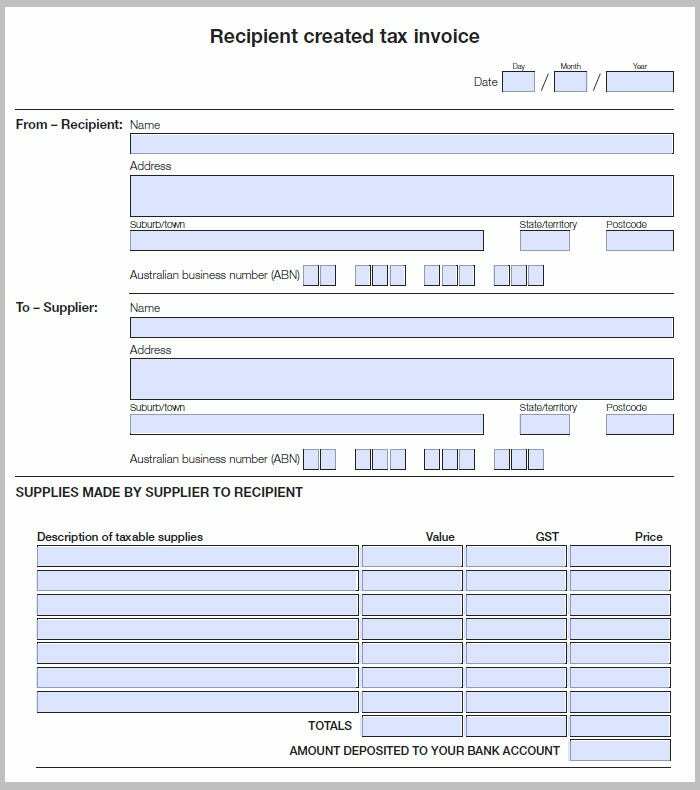 It has the option to put your company name, address for which the tax invoice is issued and delivery address as well. Descriptions of goods, their quantity along with unit and price rate are some important points that are included here. 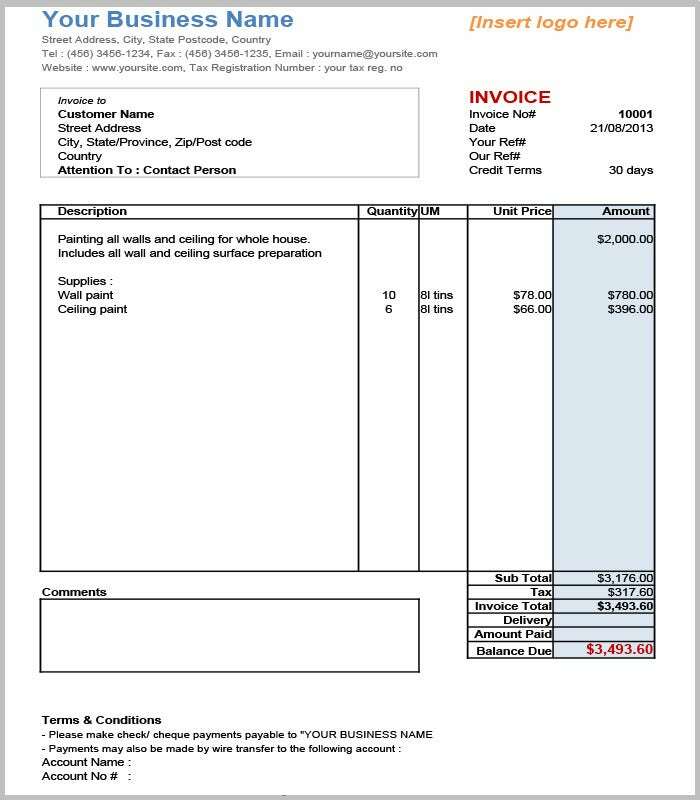 There is also an option for terms and conditions so that before issuing any invoice user will be quite aware of the scenario. 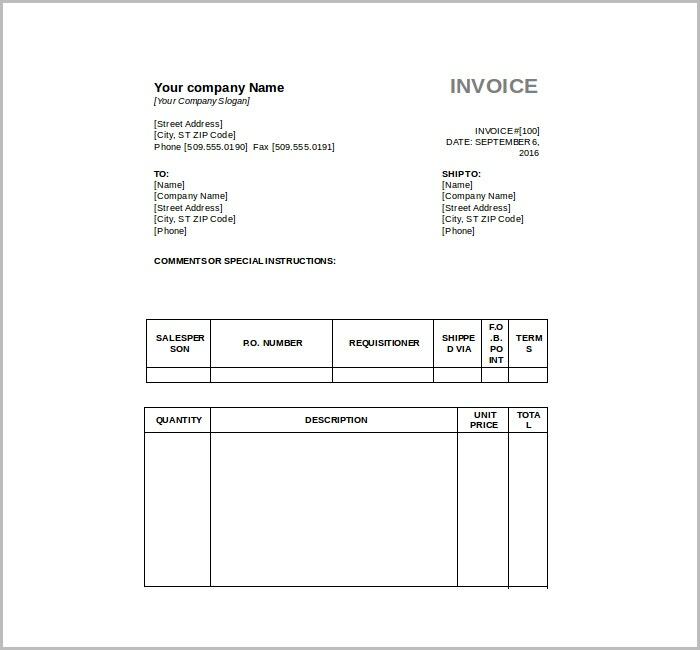 This invoice is designed in such a manner that you can put your company name along with company logo as well. 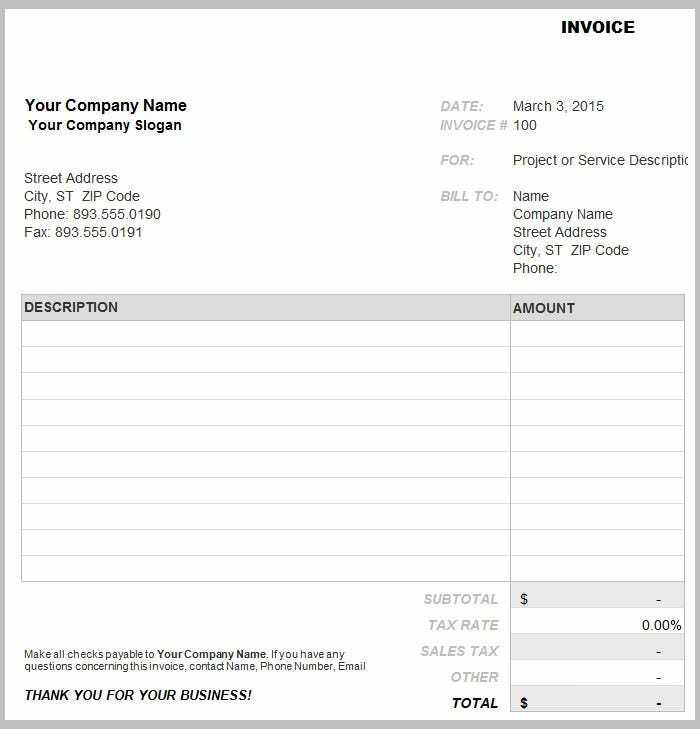 This consists of an option where you can put the recipient’s name, their address, invoice number, and credit terms as well. 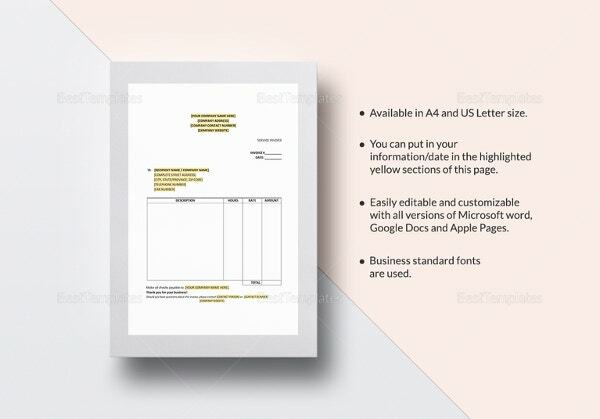 This is generally available in PDF format but can be custom made in Excel format also. Terms and conditions and comments sections are the other two important features that are included here. Provision of describing your good along their quantity and unit are also incorporated. 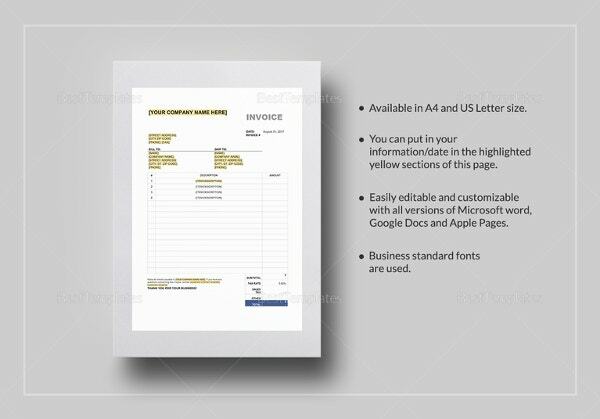 Written Agreement is the unique part of the template that is incorporated here. 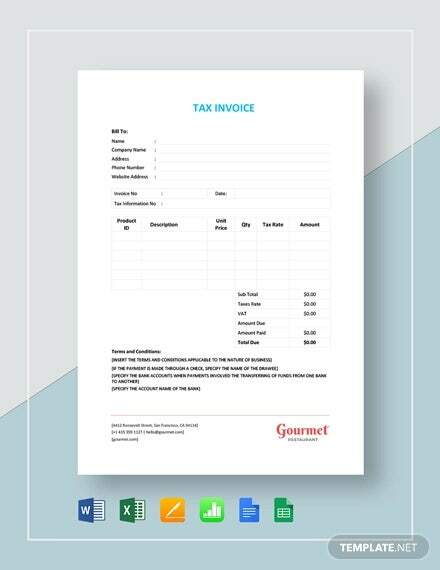 This Sample Tax Invoice Template ensures that before sharing any tax related information with other all the details are dully filled up. 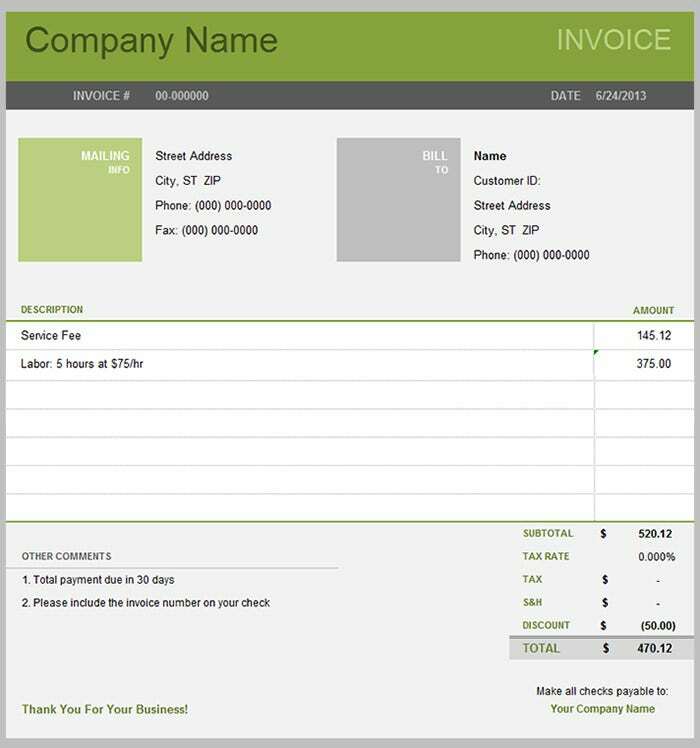 So that user can get full information about the scenario based on which the invoice is issued. 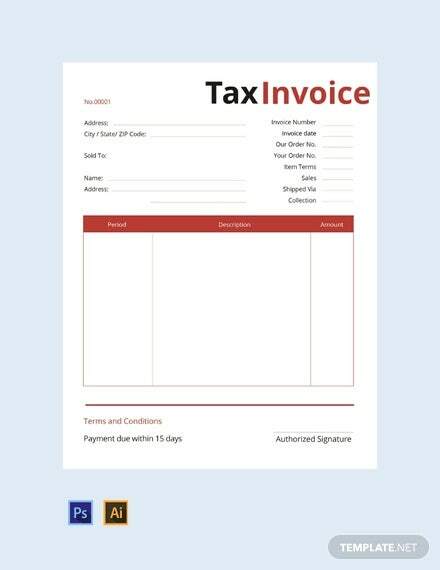 Available with company name, address for which the tax invoice is issued and delivery address as well, this has also the option to put good description, the quantity including their rate and price unit are available here. This template design is little bit unique. 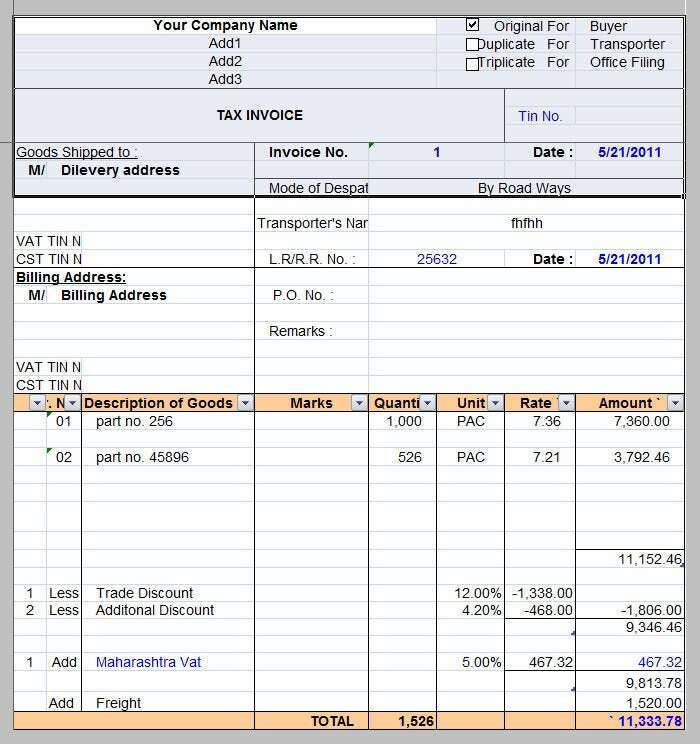 Name and address of the person for whom the invoice is issued is mentioned at the top left corner of the template. In addition to that there are a large area where detailed description of product, their quantity, unit price and amount tab are incorporated. It ensures that only useful information can be listed there. 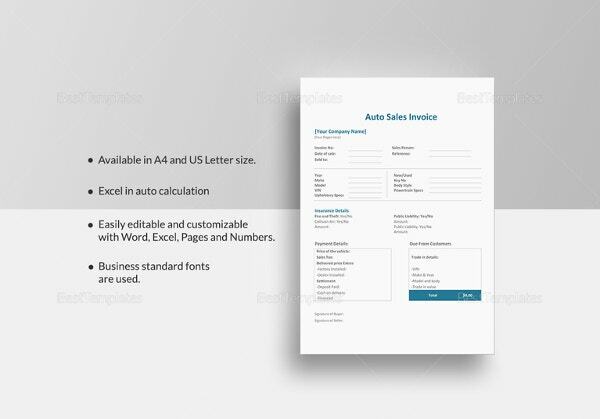 This template is compatible with both excel and word file. 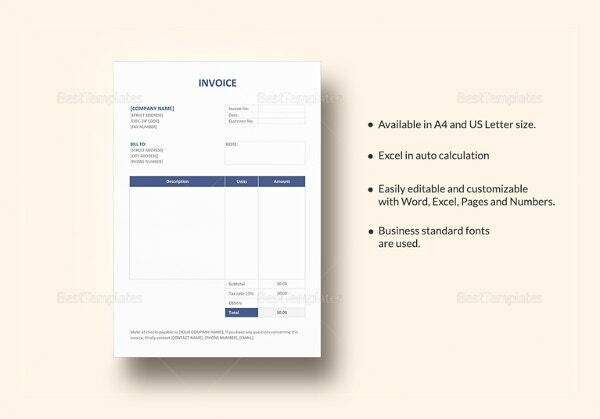 This set is a very innovative so that all your invoice related requirements can be fulfilled. Either word or this is excel this can be used to meet all your requirement s.